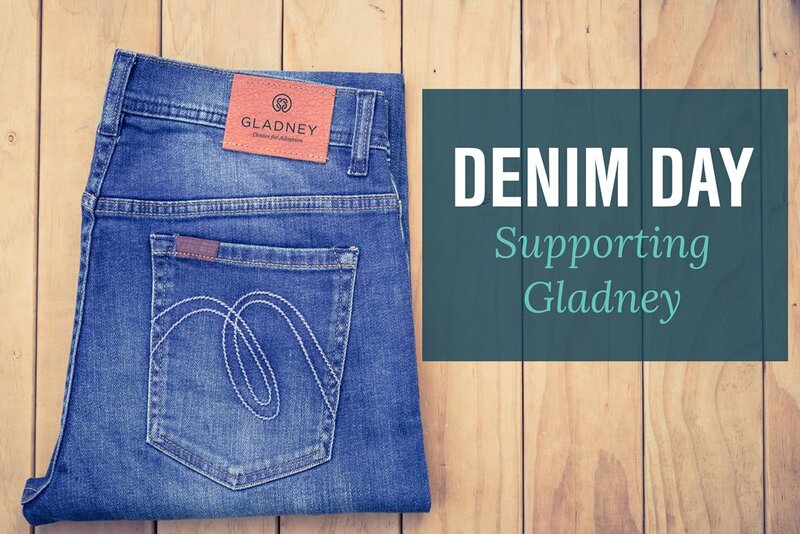 The Gladney Center for Adoption is inviting businesses to participate in Denim Day! We would like to partner with businesses to encourage team members to trade in their business casual attire for blue jeans to raise awareness for adoption and benefit the Gladney Center for Adoption. From a professional standpoint, you can get your business involved and encourage them to dress casually for Gladney’s cause. From a personal standpoint, you can use the image that we’ve provided below to share about the initiative on your social media pages. Don’t forget to use the hashtag #casualforacause when you post! Of course, we encourage you to share with your community of family and friends. Please know that you are welcome to get creative – from sharing with your kids’ school to your church – we would love to see how far the #casualforacause initiative can take us. Gladney is committed to educating and promoting adoption throughout our communities and celebrating adoption. Through your partnership, you can confirm adoption is a brave and worthy option - for expectant mothers experiencing an unplanned pregnancy and yearning for their child to have a bright future, for parents longing for a child to love, and for waiting children hoping for a loving caring home. Your support will mean so much to Gladney, and more importantly, to them - during their adoption process and on their lifelong journey. Thank you. Without compassionate and giving friends like you, Gladney could not do what they do. Your participation will directly help Gladney further its mission of creating bright futures through adoption. We look forward to the possibility of partnering together. Please let us know if you have any questions or need any further information, and we would be glad to help.